Blaming NATO for not stemming the flow of heroin shipments out of Afghanistan amid mounting drug-related deaths in Russia and the EU, Russia’s chief drug enforcer said he would like to see border guards returned to Tajikistan. 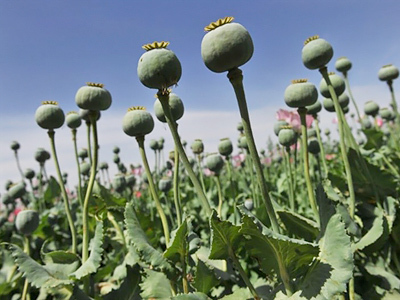 Viktor Ivanov, director of the Federal Drug Control Service, told reporters at a Thursday press conference at Interfax that NATO forces are failing to destroy poppy opium fields in Afghanistan, nor does it rank highly in its strategy. Ivanov expressed amazement that European member states are fighting in Afghanistan, which produces 92 per cent of the world’s opium, yet do not seem overly concerned that heroin shipments continue unimpeded into their respective countries. Indeed, European capitals could lose more from the threat of heroin addiction amongst their populace then they do from any menace that the Taliban in Afghanistan may represent. Afghan heroin shipments to Europe are 25 per cent larger than they are to Russia. 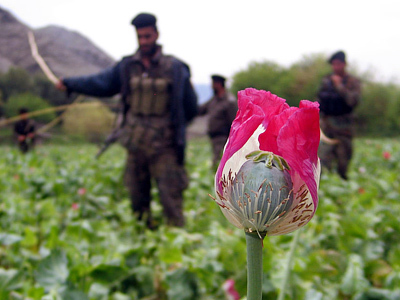 Russia’s chief drug enforcer noted that more than 1 million people have died worldwide due to Afghan heroin abuse over the past decade, yet NATO forces in Afghanistan are showing little enthusiasm for destroying the poppy crops, the raw material in the production of heroin. 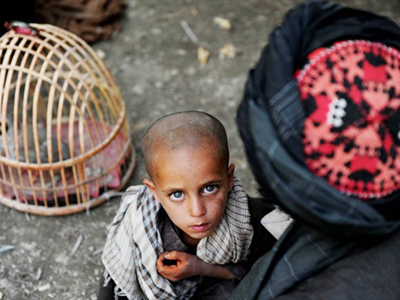 According to statistics from the Federal Drug Control Service, Russia has over one million drug addicts, while the majority of them are addicted to Afghan heroin. More than 100,000 Russians die from drug abuse each year, and with the country in the grips of a dire demographic crisis it cannot afford to ignore NATO’s indifference to the situation. Ivanov then mentioned drug-fighting campaigns being waged in South America that are beginning to have some effect. "Colombia and Latin America are very serious (about fighting drug crops) and the results are tangible,” Ivanov said. He also mentioned efforts to employ biological warfare on the Afghan poppy fields with a pathogenic fungus – Pleospora papaveracea – that kills the plant. “We realize that this work is not systemic,” Ivanov said in response to questions concerning the effectiveness of the anti-poppy fungus. “Organized efforts by states are what we need." 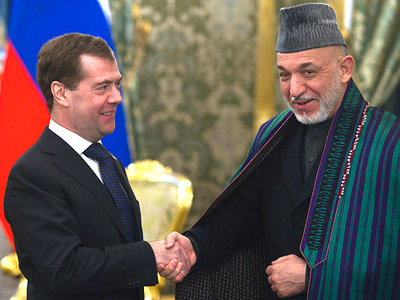 Ivanov then discussed operations to destroy drug laboratories in Afghanistan, carried out jointly by Russian, American and Afghan law enforcement services. Although he did not provide any information as to the effect those missions were having in the war on Afghan poppy, he promised the results would be made soon. "This work is continuing now," he told the Interfax press conference. The Federal Drug Control Service has "a large amount of information at its disposal on laboratories located in Afghanistan." Ivanov seemed upbeat about what the results of those efforts would be. 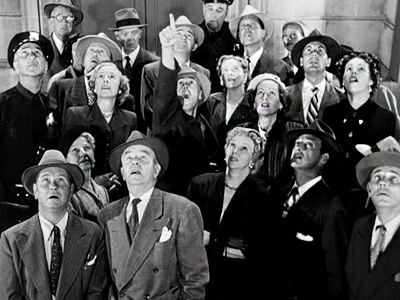 Time for Russia to batten the hatches? Given the very limited success NATO has had in curtailing the work of the Afghan poppy farmers, the Federal Drug Control Service director said he would like to see the return of Russian border guards along the Tajik-Afghan border. Ivanov revealed that the amount of seized heroin plunged by nearly five times since the pull-out of Russian border guards from Tajikistan. Needless to say, when the question arose over how the authorities should respond to a request to hold a “Hemp March” on May 7 in the center of Moscow, Ivanov said he does not support the idea. The proponents of marijuana legalization said on Wednesday that the Moscow authorities refused permission for the planned event. Similar attempts were prevented in previous years.